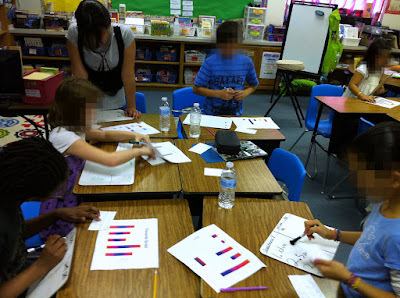 One objective of our math curriculum deals with Probability, Graphs and Statistics…uff-da! (a little Minnesotan for ya 🙂 Probability concepts are super tricky for 4th graders! So what is a nerdy teacher to do? When it comes to difficult math topics, hands-on is usually a good approach. 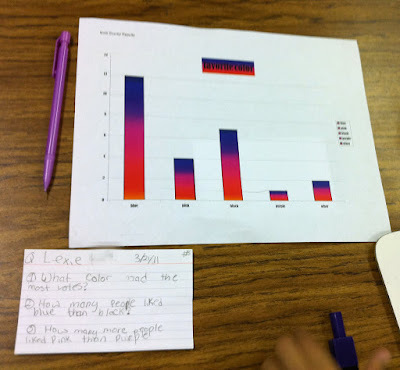 Instead of just showing my kids graphs and having them interpret and answer questions, we made our own! Informational Questions–Which one got the most/least votes? 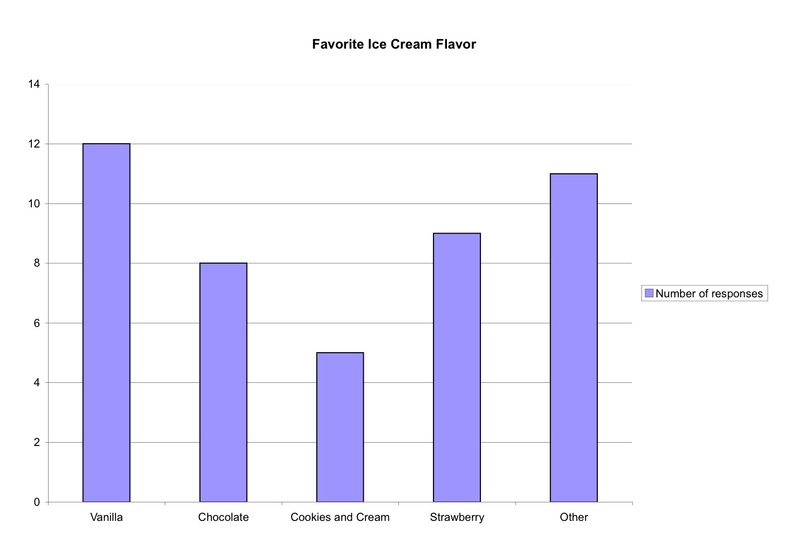 Comparing Questions–How many more people liked vanilla than cookies and cream? Inference Questions–If we asked 100 more people, how many people would most likely choose vanilla? 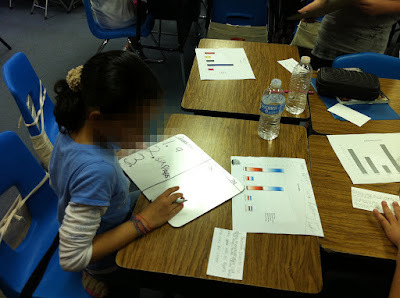 Then my kids wrote three questions based on the information in their graphs. Having kids write their own math questions is always interesting and requires them to think really critically about the math concept. 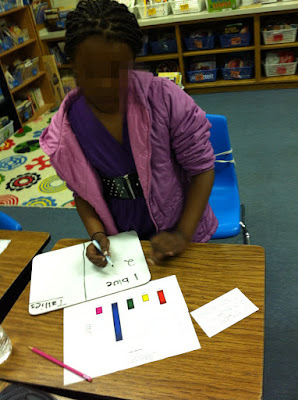 They also had to solve their own questions so they could make an answer key. Now the fun begins continues! I put on some upbeat music and a timer for 10 minutes and all the kids used whiteboards to go around and solve the problems (kind of like Writer’s Roundtable). They used the answer key on the back to check their answers. Of course someone asked, “What if we get them wrong?” We added an element of accountability and each kid kept track of how many they got right on their board. And the survey says: Probability, Statistics and graphs? EASY and FUN!